‘Bendidora di Amor’ (2005) – Jean Girigori. Acrylic on canvas. 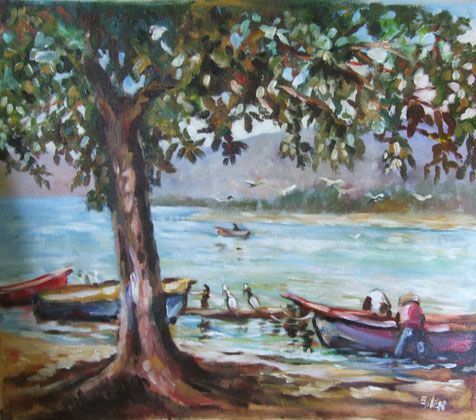 Jean Girigori is one of the leading painters of the Caribbean. Her work is colorful, vibrant and joyous, her Expressionist-Naive style unique. She was born at sea, lived in the Dominican Republic during her childhood, and settled by way of Haiti on Curaçao, the country of origin of her grandparents. Women and women’s rights play a central role in Jean Girigori’s paintings. Her big eyed subjects look accusing into the world, denouncing social injustice just as much as enjoying life. The thick lips of her women are her trademark. These lips used to be opened in her earlier paintings, but nowadays are almost always shut. In her interviews Jean Girigori always emphasizes the great contribution women make in their Caribbean community. Jean Girigori has been exhibited around the Caribbean, in the United States and in the Netherlands. ‘Cargando la Suerte’ (2009) – Jean Girigori. How many people can you press into one great painting? Well, if your doing a painting of a market and your name is Laurent Casimir 500 or more will do. 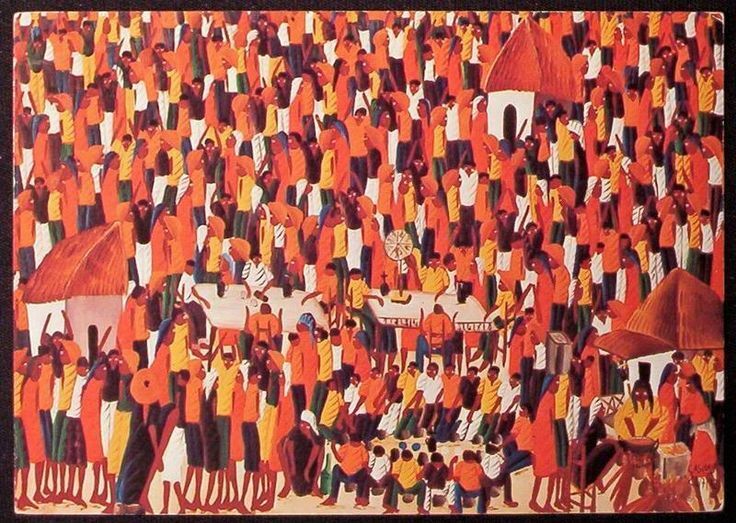 The Haitian painter (1927-1990) started his series of detailed crowded market scenes in the sixties. Using mostly red, orange and yellow he created an original style that soon was copied by many others, resulting in a Haitian archetype. Laurent Casimir joined the Centre d’Art in Port au Prince in 1946 and later attended the Foyer of Fine Arts. His work soon attracted the attention of international collectors. By the mid seventies he had a school of his own, where his apprentices would fill in the colors and Casimir would add his signature. Errol Allen (1960-2012) started painting at the age of 8 and is considered one of the main impressionists of Jamaica. His favorite medium was watercolors although he also used pastels, oils and acrylic. Characteristic of his paintings are the colorful pigments applied with heavy brush strokes. His art has been sold to the USA, Canada, England, Germany and Australia. Errol Allen is our featured artist for Throw Back Thursday. Back in the 19th century, the French painter Jean-François Millet (1814 – 1875), moved by the social injustice in his country, shifted the focus in his paintings from the rich and prominent to those at the bottom of the social ladder. Millet was a Realist and one of the founders of the Barbizon School. 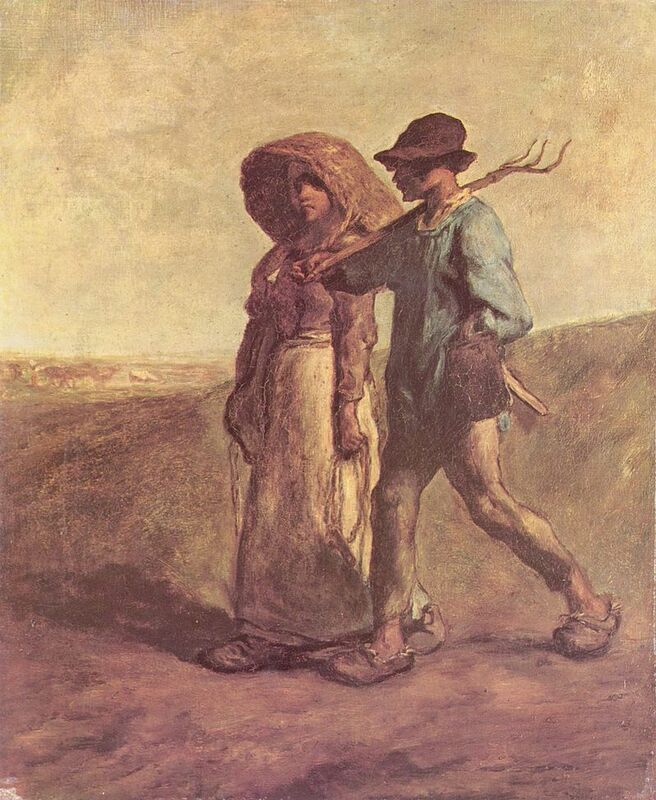 ‘Le Départ pour le Travail (1851-1853)’ is one of his paintings of peasants that captures the poverty of rural French life. In it, he hides the faces of the agricultural laborers to emphasize their anonymity and marginalized position. 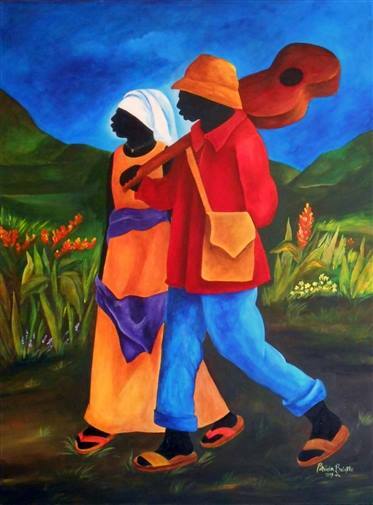 About 150 years later Haitian Patricia Brintle paints her own ‘Le Départ pour le Travail’. She uses Millet’s orientation and composition, but at the same time emphasizes the poverty of her subjects less by using bright colors and by replacing the rake of the male worker by a guitar. Ms. Brintle is a self-taught painter who favors the use of acrylic. Her paintings are bright, vivid and vibrant. Born and raised in Haiti, she immigrated to the United States in 1964. In her work she uses symbolic elements to bridge the gap between Haitian islanders and the Haitian Diaspora. Elvis Tromp is an Aruban painter who speaks with colors. Using oil or acrylic he has painted several Aruban landscapes since he was a child, but lately he has expanded into figurative and abstract art. 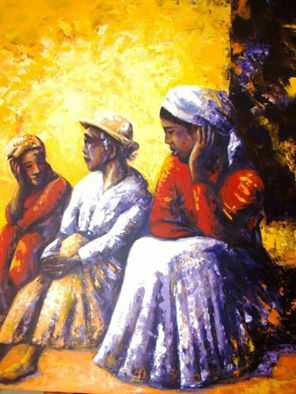 ‘Haciendo Redo’ shows three women sitting down to gossip. Set against a powerful yellow background the painting captures a very recognizable activity around the Caribbean. Tromp, who has led the art movement on his island for decades has an active page on Facebook, showing his latest works.